I decided to modify the project and use only the Wired connection for the Dust Sensor and the Temperature Sensor placed in my house. Doing this I’ve a spare Adafruit Huzzah with ESP8266 that i could use for other projects! 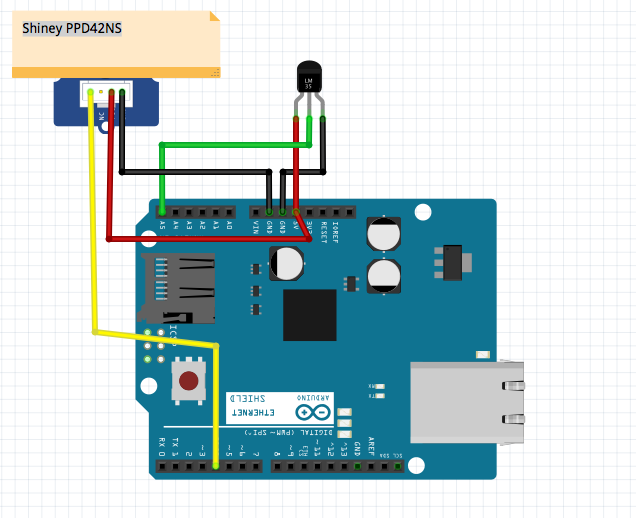 The connection are easy, i’ve only made a Y cable for 5V and GND that goes from UNO to the Sensors. 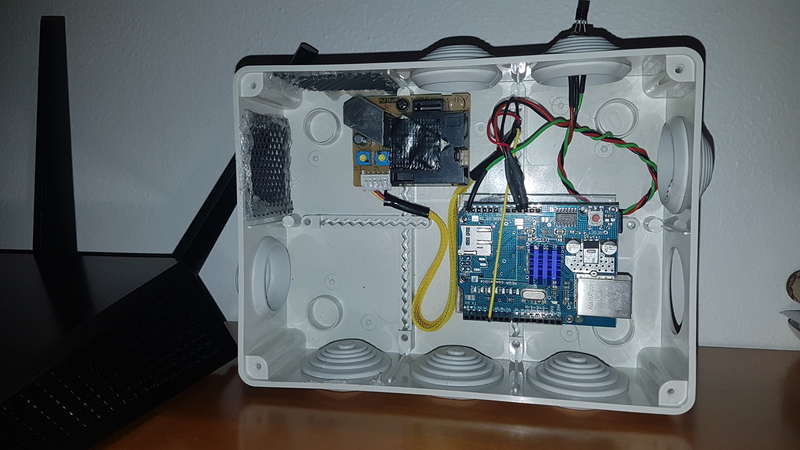 The Vsignal pin of the sensor is connected to A5 of UNO and the PM10 cable from the Dust Sensor is connected to the D4 pin of Arduino Uno. As usual all the datas are sent to the web service Thingspeak. 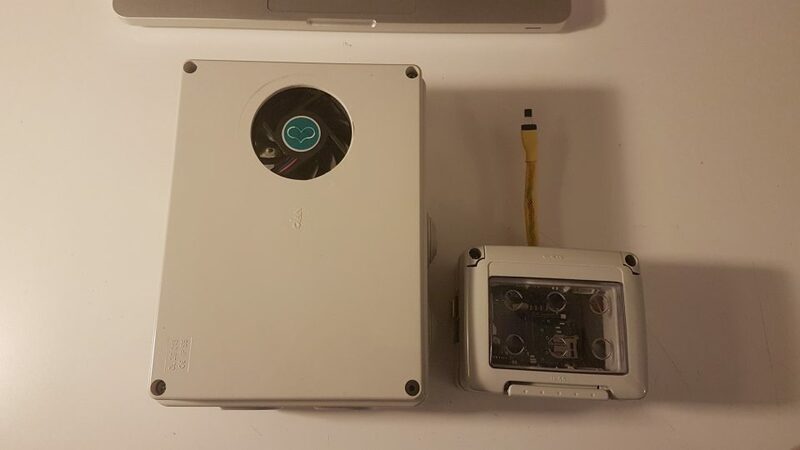 The enclosure is the same with always a FAN to help the air to move from outside to inside.